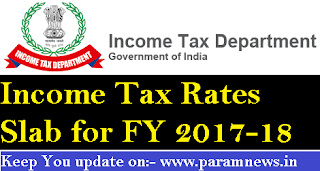 ** 10% of income tax, where total income is between Rs. 50 lakhs and Rs.1 crore. 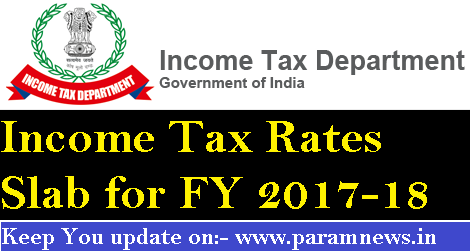 ** 15% of income tax, where total income exceeds Rs. 1 crore. * *Income upto Rs. 2,50,000 is exempt from tax if you are less than 60 years old. * *Income upto Rs. 3,00,000 is exempt from tax if you are more than 60 years but less than 80 years of age. The amount of income-tax computed in accordance with the preceding provisions of this Paragraph, or the provisions of section 111A or section 112 of the Income-tax Act, shall, in the case of every firm, having a total income exceeding one crore rupees, be increased by a surcharge for the purposes of the Union calculated at the rate of twelve per cent. of such income-tax. The amount of income-tax computed in accordance with the preceding provisions of this Paragraph, or the provisions of section 111A or section 112 of the Income-tax Act, shall, in the case of every local authority, having a total income exceeding one crore rupees, be increased by a surcharge for the purposes of the Union calculated at the rate of twelve per cent.of such income-tax.